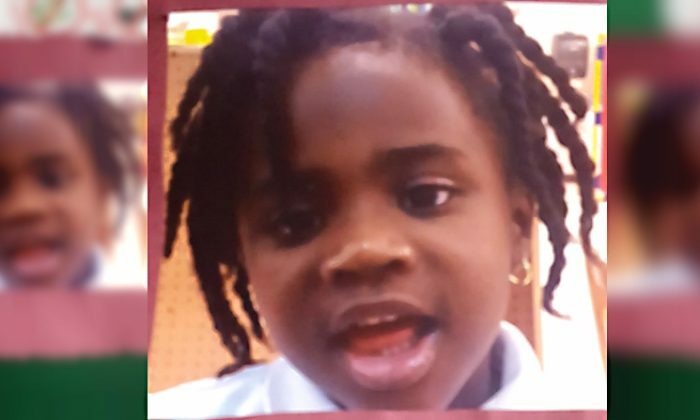 A massive search effort came to a tragic conclusion on Sunday night when the body of 4-year-old Chelsea Noel was found in a retention pond two blocks from her parents’ Port St. Lucie home, Sun Sentinel reported. A U.S. Marshal in a kayak spotted a small body submerged in water at around 11 p.m. on Sunday. By 1 a.m. Monday, divers had recovered Chelsea’s body, TC Palm reported. Noel described his daughter as a sweet and kind girl who always gave him hugs when he came home from work. She would hold him and wouldn’t let him go until he picked her up. Noel said that the community and the police department have been there for him to provide love and support during the difficult time. Chelsea’s father reported her missing at 10 p.m. on Saturday after she walked out of her home. The report sparked a round-the-clock search effort by city, state, and federal law enforcement personnel. Law enforcement used divers, a helicopter, and search dogs, Police spokesman Sgt. Frank Sabol told TC Palm. A local resident used a drone to aid in the search effort. The FBI, Florida Department of Law Enforcement, and Martin County Sheriff’s Office assisted in the effort and went door-to-door looking for Chelsea. The also looked through vacant lots and ponds. Members of the local community also joined in to help the effort. “I can’t say enough about the cooperation of the community and law enforcement,” Bolduc said. Police used sniffing dogs to try and find the girl’s trail, but the dogs could not track down where she went. The search team finally got a clue about where the girl headed after reviewing surveillance footage in the area. The boats searched the area until dark. When the sun went down, a glow of a flashlight eventually illuminated a part of the girl’s clothing near the shoreline. The girl’s body was recovered from a pond on SW Hallmark Street and SW Abacus Avenue. Police say an autopsy will be performed. Noel, the girl’s father, issued a tearful plea to the public when police were still searching for the girl. Officers stopped cars entering and leaving the area to show drivers pictures of the girl. If you liked this article, support The Epoch Times and share it!